Below you’ll find links to the different Lean Body Sessions available at our training studio in Finchley, North London. You’ll notice that although there is variation between the different sessions offered, the fundamentals and the total body workout delivered in each class remains consistent. For those of you who are unable to reach one of our sessions, you’ll be happy to know that the Lean Body Workout Programmes and Nutrition Plans will be available to download soon. We’re just working on the finishing touches before we make them available. One of the beauties of the Lean Body Workout is that you can perform it wherever you are. So no excuses! Cardio drills with resistance training. Learn how to lift safely and effectively for optimal results. Designed to transform the way you look and feel! Let’s get you ready for action! For anybody who feels they are not quite ready to jump straight in to Lean Body 90, why not try our Kick Start program to build up your fitness levels and endurance first. You basically go through the first 3rd of Lean Body 90 but at a slightly more forgiving pace. The Kick Start is designed purely for beginners or people returning to training after an injury or long time off. With the exception of our ‘Free Taster Session’, a 30 day or 90 day price plan is required to book a session. Our Price Plans allow you to book a session of your choice and are contract free with no obligation to renew. To purchase a Plan, please call us on 020 8432 9991. 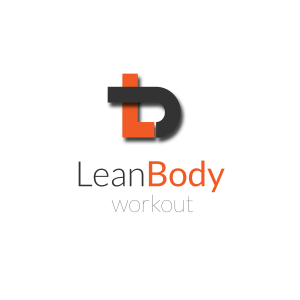 The Lean Body Workout is available in 2 main formats. Our ‘Plus’ Price Plans allow you to train three times per week, whilst our regular Price Plans give you just two sessions. You can also choose between our popular Lean Body 90 Program and the Lean Body 30 Day Kick Start. To book a Free Taster Session, either call us on 020 8432 9991 to arrange a consultation or click here to complete a request form. Get your free workout plan now!